The Complete Beginner’s Guide to BitIt Review 2019 - Is it Safe? BitIt is a cryptocurrency Exchange platform based in Paris, France which allows you to buy leading cryptocurrencies in your local currency of choice and with the payment method you prefer including Debit and Credit Card purchases. It’s an exchange we recently featured in our Alternatives to Coinbase collection so we thought we’d take a closer look at this exchange. Using the platform is as simple as signing up, completing the profile to increase your buying limits, and getting ready to use the intuitive interface. 1 Who Is Behind BitIt? 6 How Does BitIt Let You Buy Crypto Locally? 7 What Are BitIt Gift Cards? 9 What Limits Does BitIt Have? BitIt is based in Paris, France, and three friends founded it in 2015. They did so with the goal that everyone in the world, regardless of whether they live in a remote area, should have access to cryptocurrencies. They worked together to create a simple platform that delivers that access along with the ability to protect and manage a user’s financial well-being. Of the three co-founders, Nicolas Katan is the CEO, Ugo Mare is the CTO, and Simon Potier is the CIO. The platform has support from The Family (a European group supporting entrepreneurs), the Luxembourg House of Financial Technology, and EY (a global company). BitIt allows for purchases in real-time thanks to direct payments, so you do not have to worry as much about exposure to the market’s volatility. Payments are always secure since they are developed, regulated, and hosted in France. BitIt follows the highest standards for both regulatory oversight and privacy. This exchange platform is available around the world, delivering cryptocurrency to the “remotest places.” No matter where you are, you can pay in local currency and will be able to enjoy high liquidity and limits. BitIt is a “one-stop shop” since it combines the advantages of a cryptocurrency exchange with those of a marketplace. Instead of sticking to one formula and leaving out a potential group of people who may want to use the platform, BitIt delivers an e-commerce interface that is user-friendly and makes it quick and easy to buy cryptocurrency. One of the features that truly sets BitIt apart is its ability to accept a long list of payment methods you will not find on other cryptocurrency exchanges. Use credit cards, e-wallets, wire transfers, or even cash. Specific methods include Maestro, Mastercard, Visa, TrustPay, CashLib, and Neosurf. Purchasing cryptocurrency on Bitit is very simple, it’s ideal for beginners who are wanting to dip their toes in the water, so to speak, without having to worry about more advanced exchanges which can have a confusing interface to newcomers. Buying a cryptocurrency is as simple as clicking the “Buy” button at the top of the site and choosing which coin you would like from the list. You can then select your payment method from the drop-down list, enter your amount and wallet address before submitting payment. In the wallets section of the site, you will see that you can add your wallet addresses for different Cryptocurrencies which you have created off-site. This means none of your funds are stored with Bitit, as soon as you purchase, your cryptos will be sent to the addresses you specify here. This is good as it means the exchange is less prone to hacking or other problems associated with providing hot wallets for customers. How Does BitIt Let You Buy Crypto Locally? In addition to the ability to purchase cryptocurrency via the BitIt marketplace, users can also take advantage of the platform to buy it locally. If you click on “Buy near you” at the top of the page, you can find stores selling BitIt Gift Cards, CashLib, and Neosurf. You just go the store and buy your voucher with your payment method of choice, including cash. Log into your BitIt account and enter the voucher code, then claim your cryptocurrency. The delivery is always express, with the assets arriving in just minutes. What Are BitIt Gift Cards? If you do not want to use a different payment method or choose to give cryptocurrency as a gift, you can instead get a BitIt Gift Card. BitIt has several partners that sell the gift cards, including The Good Gift, Avangarde, and Ma Carte Cadeau. You can then receive your gift card via email or snail mail, depending on your preference. Once you have the gift card, head to BitIt to redeem it into the cryptocurrency of your choice. 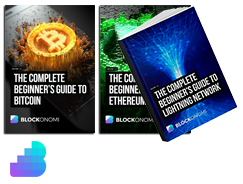 Options include BTC, ETH, LTC, XRP, ETC, BCH, DASH, and CVC. As with the options for buying your crypto locally, your cryptocurrency will be delivered within minutes after you redeem your gift card. BitIt is working to expand the availability of the gift cards, so merchants can contact the team to begin offering this service. As gift card support expands, BitIt will become even more useful, making it simple to buy your favorite cryptocurrency with cash. BitIt prides itself on keeping all pricing and commission fees transparent. Fees can be as low as 2.5 percent, so more of your money goes toward your cryptocurrency purchase, delivering a great value. Purchases will have a 3 percent fee with TrustPay, a 6.9 percent fee for buying online with a credit card, and a fee of 5.9 to 11.9 percent for payments with Neosurf or Cashlib. Remember, you may also have to pay fees charged by a store in exchange for a prepaid voucher or for foreign exchange or foreign transaction fees that your financial institution charges. Keep that in mind if you choose to purchase in a currency that is not Euro. The Fees aren’t the greatest when compared to other types of exchanges, but you are paying here for ease of use and ability to purchase using Debit / Credit cards and the wide array of other payment options. What Limits Does BitIt Have? Without account verification, you can only buy 150 Euros of Bitcoin, and you must verify your account before buying with a credit card. With the proper verification, you can increase your limits to 700 Euros each week with a credit card and 2,500 Euros per week using other payment methods. To get these limits, you just need to submit a notarized copy of your ID and a selfie with you holding your ID plus a paper where you wrote the date and “BitIt.” You can also get additional approval for higher limits with a selfie of you holding your credit cards (with all but the last four digits blurred), proof of residency, and a current credit card or bank statement. BitIt offers dedicated support available 24/7. There is an account management team that is there to help users with all of their concerns. The platform also has an extensive FAQ section where you will find answers to your most common questions, including more than enough detail. For convenience, the support section is divided into categories so there is no need to waste time to find the topic you are interested in. Bitit has positive reviews online, it has earned a “Great” rating on TrustPilot with 24 user reviews listed. People seem to praise the customer support and ease of use the most. While it may seem like just one of many cryptocurrency exchanges at first, BitIt does more than the typical platform by also offering some features more common to a marketplace. 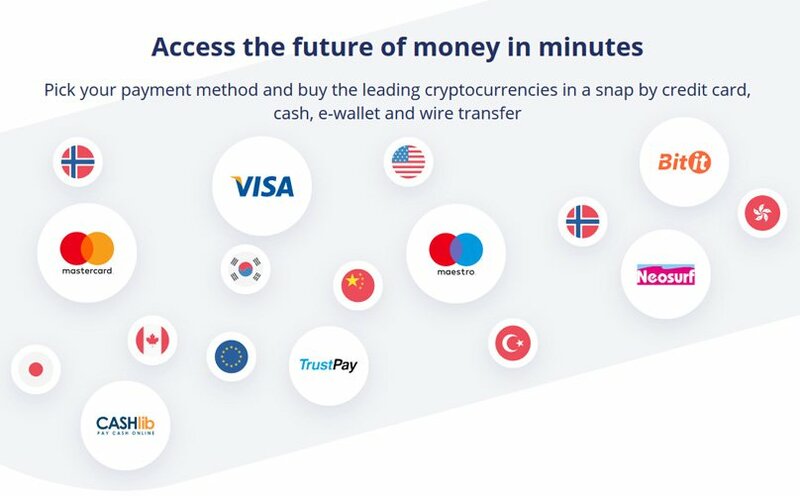 This French company lets you buy several different cryptocurrencies with credit cards, bank transfers, or vouchers you buy with cash. It also offers convenient gift cards as another way to buy crypto with cash. The only downsides of BitIt are the limited cryptocurrencies and high fees, but the platform is working quickly to expand its cryptocurrency offerings. We recommend you take a look at Bitit if you are a beginner to Cryptocurrency who wants to quickly and easily purchase some coins on a safe and reliable exchange with a simple and pleasing to use interface and doesn’t mind paying a little more in fees for the privilege. No response from multiple emails to customer support (over weeks). In the end I gave up and stuck with coinbase. Seems like they don’t want to be doing business? Weird.